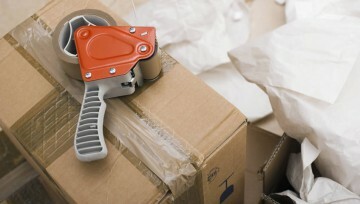 Small moving boxes usually measure up at 1.5 cubic feet, medium boxes are 3 cubic feet and large are 4.5 cubic feet. 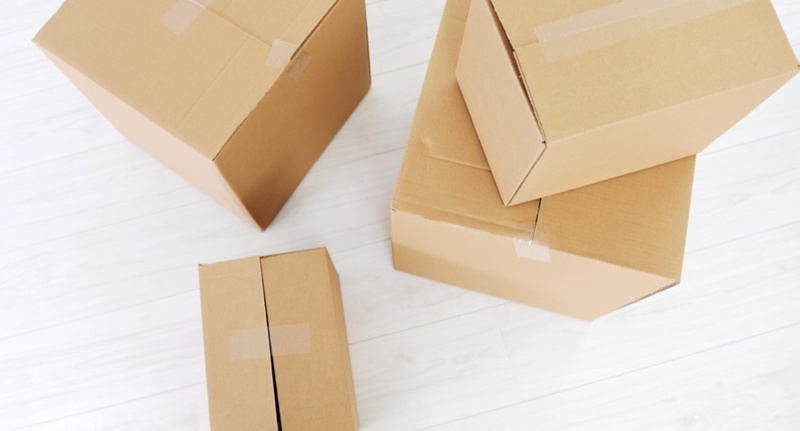 When moving, you should place your heavier items in smaller boxes, this is because cardboard will hold up a lot better if it’s carrying a small number of heavy items. Loading a lot of heavy items into a large cardboard box is best avoided where possible, you don’t want to be dealing with a bunch of smashed plates if the bottom of the box splits. You’ll be pleased to know that there are specifically designed boxes for pretty much any item. Wardrobe boxes can be defined by their short horizontal bar. The bar should be able to take two feet of hanger space without any trouble and will allow you to avoid packing clothes into boxes. Quite often shirts, trousers, jumpers, jackets and more end up overloading boxes, as well as leaving you with creased clothes when you unpack. Plates, dishes and glasses are among the most common casualties during a move. In order to avoid having to pop to IKEA to replace all your dinnerware, you may want to consider boxes designed for carrying crockery. You’ll notice that unlike regular boxes, they have partitions which have been designed with keeping all your favourite glassware safe during transit. If you’re concerned about any fragile items you may have, it’s worth bearing in mind that we offer a completely safe and efficient fragile items packing service as well as a full packing service. Unsurprisingly, mirror boxes have been designed with transporting mirrors in mind. Featuring secure joints that firmly grip the edges and stop your mirror from rocking, they are worth seeking out if you have a mirror you want to fully protect. They’re also ideal for moving flat screen TVs. To help make your move as seamless and stress-free as possible, Cambridge Removals and Storage can supply you with all the high-quality moving boxes you require. Contact us today to discuss your moving needs.